Former CEO of the World Bank’s Caribbean Climate Innovation Centre Everton Hanson has been appointed the first Director General of the recently established Jamaica Agricultural Commodities Regulatory Authority-JACRA effective April 3, 2018. With over twenty-five years experience in general and financial management, agriculture, environmental matters, and entrepreneurship, Hanson was the favorite from among several other candidates vying for the top post to guide the establishment of JACRA which comprised the merger of coffee, coconut, cocoa and the island’s major commodity boards. His educational background includes an Associate of Science degree in general agriculture from the former Jamaica School of Agriculture, a Bachelor of Science Degree in Agriculture from the University of the West Indies, an MBA in Finance from Georgia State University, Adanta, USA and a Certificate in Project Finance from Harvard University, USA. A first-class manager, a dynamic team leader with sharp critical thinking and problem-solving abilities, Hanson is also a Certified Public Accountant (CPA). 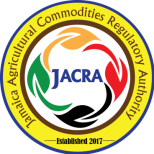 National People’s Co-operative Bank of Jamaica Limited, a financial institution that focuses primarily on the agricultural sector.